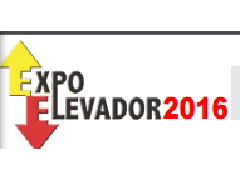 The ‘‘Expo Elevador 2016’’ International Trade Fair of Elevators in Brazil is held every two years, it has now formed a larger scale. 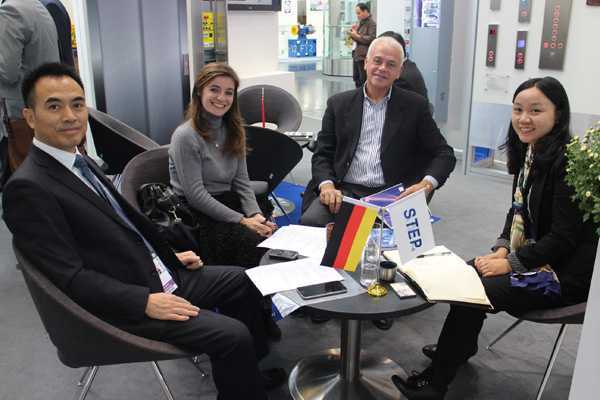 As a company effort to expand overseas market, in order to expand the influence of China's elevator industry in Brazil and South America, and further understand and integrate into the South American market, on July 13, 2016, Shanghai STEP Electric Corporation participated in the Expo Elevador 2016 with its brazilian branch team. 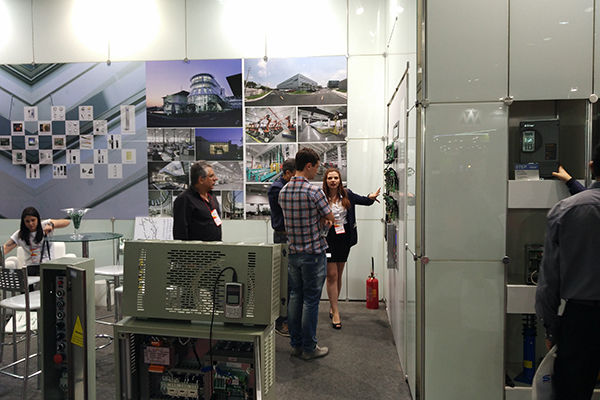 In the exhibition, there were 43 Chinese exhibitors, about 780m2 of Chinese exhibition area, the scale of this exhibition exceeded 10,000m2, it is the only South American professional elevator exhibition. The STEP’s exhibition area of this time is 36m2, the exhibition contents include destination floor group control system, AS380 integrated control cabinet, AS320 and AS620 inverter, energy feedback device and other elevator components, the company is dedicated to provide customers a complete solutions of elevator production, transformation and maintenance. 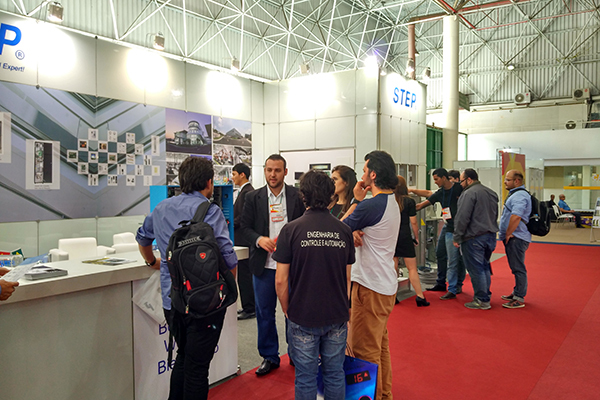 This time of participation in exhibition is the third time after Expo Elevador 2012 and Expo Elevador 2014. 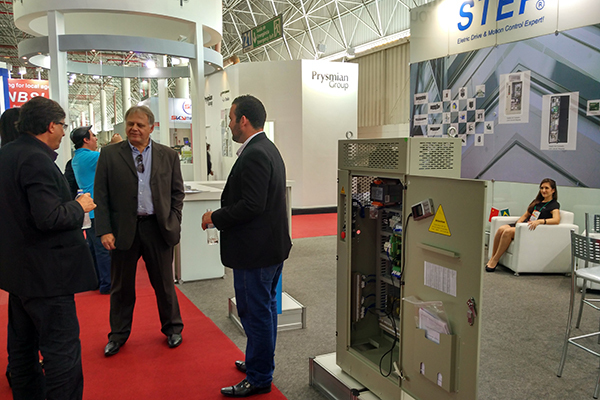 Taking advantage of this exhibition, STEP and its brazilian branch team can show the products and company to potential customers with a better visual representation —— Electrical transmission and motion control expert, at the same time provide the impetus for future market development and sales growth. 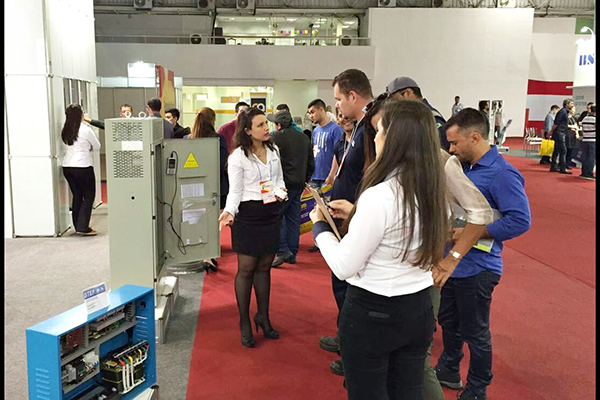 During two days of exhibition, received a total of 190 new and old customers from Brazil, Argentina, Colombia, Chile and other South American countries, achieved good exhibition results. Brazil has a population of 180 million, the GNP per capita is listed first in Latin America, the area, population and economic output also rank first in South America, is the central market in South American and its degree of industrial development is the most mature. Believe that after the exhibition, the brazilian subsidiary team colleagues can make full use of resources to explore the elevator market of Brazil, to help the company to improve the performance and competitiveness.